We believe that our clients deserve the highest level of service possible when looking to buy or sell property in Whatcom County. To provide such service, we combine our extensive market knowledge with experience, determination, courtesy and lots of good ol’ fashioned hard work! We understand what an exciting process it is to buy or sell a home, and we are honored when clients choose us to help them through the experience. 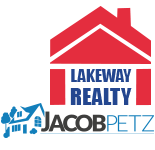 Learn more about our services by contacting the Jacob Petz team now! Jacob Petz specializes in helping first-time home buyers purchase their perfect home. Our team of professional realtors is recognized and respected because of our family-oriented approach to real estate. With more than a dozen years of experience in the industry, our agents know the ins and outs of buying and selling real estate in Washington. If you are interested in learning more about buying or selling a property in Whatcom County, schedule a personal consultation with one of our qualified agents today. We are excited and eager to help you in your future real estate endeavors!